David Bullock & I made this interview into a sales how-to session, which covers every kind of sale I can think my audience would want to make, including cold calling, landing pages, social media and even video. Learn from David, a man who built an industrial sales territory from $300K to $150 million. David Bullock is the founder of CEO Mastery, which gives CEOs the practical building blocks to create a fast-growing company. Here’s SnapEngage, they’ve got a video explaining their product right under the free trial button. Here’s SendGrid, right next to the get started button is a video explaining the product. Video, much more than text, helps people understand what you’ve created and convinces them to try it, and buy it. And the company I recommend that you turn to for this? It’s Revolution Productions. The same company that did both those startups and many other’s videos. Revolution-Productions, and when you go to their site, Revolution-Productions.com, and contact them, I want you to talk directly to the Founder, Anish Patel, tell him I sent you. He’ll take great care of you and make sure you have a great video that convinces people to try your product. Next sponsor is Grasshopper.com, and I want you to think of them as like, adding super powers to your phone. Want extensions? You can add it. Want a phone number that catches you anywhere you are? You’ve got it. Want to take your voicemail messages maybe and convert them into text? You’ve got it. Anything that can be done with a phone, pretty much anything, I can’t imagine what you can’t do, Grasshopper.com will do it in a very user-friendly environment, so you can keep adding features and adjusting them yourself. Grasshopper.com. Finally, Scott Edward Walker is the Lawyer that I’ve been recommending long before he even began to pay me for sponsorship. I don’t know Scott, why you even bother paying me, I’ve been telling people for years to try you. But you do, so I’ll tell my audience right now, if you need a lawyer, if you’re an entrepreneur, especially if you’re a tech-startup entrepreneur, go to the Lawyer that I recommend, and as you can see on this website, Jason Calacanis, Neil Patel, and many other entrepreneurs recommend; Scott Edward Walker of Walker Corporate Law. Andrew: Hi everyone, it’s Andrew Warner, I’m the founder of Mixergy.com, home of the ambitious upstart. Today we’re going to be talking about sales. How do you build a sales territory from 300,000 to 150 million? Joining me is David Bullock, who did that for Fanuc Robotics. I invited him here to talk about sales, which he’s done throughout his career. Today David is the Founder of CEO Mastery, which gives CEOs the practical building blocks to create fast-growing companies. David welcome. Andrew: David, we care about technology, we care about mobile, we care about social media, we care about new edgy concepts. [??] Why should we even bother with sales? David: Well, sales is revenue. At the end of the day, a business is in business to make profits. Not to just have the new greatest thing because then you just have a marketing company, and that’s fine, if that is indeed your motto. At the end of the day, if you’re looking at the entrepreneur of the VC space, that investor wants to get his money out of the deal. Not just on buy-out, because sometimes the buy-out situation is five, six, seven years down the line. What do you do between getting the money and actually that buy-out situation which actually may never come? So, sales is of utmost importance, because sales is the revenue generator of the business, it actually cuts down on that infamous word called burn. Andrew: I see. So, you can continue to keep spending if you’ve earned the right to do it, by bringing more revenue? David: Exactly. I mean, your investor wants to have a dollar, and that dollar come back with a dollar and fifty cents or a dollar and ten cents. If you’re just spending money, you haven’t gotten the traffic, developed a sales funnel, developed what I call, an unrefusable offer, self liquidating leads, basically leads that pay for themselves coming in, and basically make the water flow uphill, in sales, then you’re just spending money hopefully that will come back. And those are the sales methodologies that come from belly-to-belly, in the field, hard-nosed sales. Andrew: OK. I know my audience, and they’re hearing this and when I, in the introduction said, ‘he built the sales territory from 300,000 to 150 million, that seems a little too big for them to really grasp, and to really relate to. Andrew: How about giving them an example of how you’ve done that, more recently, maybe on a smaller basis? Let’s show them who you are and what you can do. David: Yes recently, one of the things that you may not know is that I was the editor of the AdWords for Dummies book. Andrew: The AdWords for Dummies book. David: AdWords for Dummies, I was the Technical Editor. So I kind of know how to work with [??] from an S-C-O standpoint, or the [??] click standpoint. We recently took that skill set and we applied that to a financial company selling annuities. We were able to reduce their costs per lead by the first week, and increase their number of actual leads that turn into sales by 5% the first week. But then we continued over the next three months and doubled it. Now, when you double the lead flow of any business, and we’re not talking about they had two and they went to four, we’re talking about they were getting maybe twenty leads a day and now they’re getting fifty appointments a day. That definitely impacts the bottom line. We did all of that using one channel, which was pay-per-click, just by knowing what to do there. So, that’s what I’m doing recently. And more importantly, that very same company just got awarded the Ink 500 Award, as one of the fastest growing companies in the United States. Andrew: I see. So, I see how it translates into day-to-day productivity, production, ‘cuz you’re getting more leads every day. And I can see how it impacts the company as a whole. All right, we’re going to go right into this in this session. We’re going to talk about social media and how to use that. I want to find out about cold calling. We talked in the preview, also, about landing pages, and the Taguchi method, which I want to hear more about; analytics, networking, generating referrals. We’ve got a stacked conversation, here. How about old fashioned cold calling? Let’s talk about that first. David: In the new age, now, that we live in called social media, no one’s calling anyone on the phone anymore. It’s email going back and forth, it’s tweets, it’s Facebook updates, it’s videos. The idea of getting on the phone and calling a perfect stranger, getting through to him, delivering value in the phone call, no matter how neat the gadget is, no matter how great the technology is, no train, plane, or automobile is going to move before the conversation of, this is the benefit of this widget for your company, or more importantly, for that individual and how he’s going to live. Now, social media done the wrong way does not lead to sales, it leads to bunch of noise. That’s why there’s this question on ORI with social media right now, which is moving in the marketplace. Andrew: Are you saying, by the way, that you don’t make any more cold calls because social media and other technologies have moved us past it? Or do you still do that? David: Oh, absolutely no. I still make phone calls. Andrew: Can you describe a kind of cold call that you’d make today? David: Right now I have a software product for the manufacturing industry that actually helps the manufacturer to actually consolidate through eight strings of data everything that’s going on. I know what the product is. So, today, to do what you need to do, first you find a manufacturer, who is in charge; is it the CFO or the CEO, and then you make the phone call. My name is David Bullock. I’m calling from this company. I notice that you’re making 5,000 [?? ], and you’re actually calling part proliferation. Now I’m speaking the marketplace’s language. He knows exactly what this is. He knows it’s eating him alive every day. And I have a tool that actually links into your current [inaudible] database that you have, that you obviously spend at least [??] million on that you’re not getting and ROI on. That can actually increase the profitability to your bottom line. What’s he going to say? I don’t want to talk to you? David: OK. Then, key is to get past his gate keeper, and actually have a compelling message after you get on the phone. Notice I didn’t stutter. There was no uh, or ah. I know what I have. I know what it does. I know how it can work for you. So, typically in this Internet marketing space, and social media space, we all have this idea that more is better, meaning I want 10,000 leads with the idea that one of those leads is actually going to be the one that actually closes. On the other side, when I was actually working in the field, I would not get into a call or write a quote unless I knew on the other side of that particular visit it was a sale that was going to be . . . the sale had to almost be there already before I would even move. Andrew: Before you even make the phone call the sale would have to be there. David: Well, before I would prepare a quote, a proposal, and definitely before I would get into the car and go visit somebody, ‘cuz now that’s time. Andrew: Let me break down what you’ve said so far. First of all, you did not stutter, but my software, I think, was giving us issues, so if the recording didn’t come out, that portion of the recording didn’t come out clearly it’s not because of your delivery, it’s because of the Internet connection that we’re all faced with here. You didn’t stutter. You did deliver it flawlessly. How much practice do you go through before picking up the phone and making a cold call? David: Typically, I will speak that line, which is about 35 words long, totally. Andrew: Interesting. Thirty-five words; you know that because you’ve written it down and counted? David: Thirty-five words is the time that you have to actually get your message through effectively to an executive so that he thanks you for giving him that sound bite that he needs so he can make a decision. If you get long winded in your delivery of your product or service, people turn off. You don’t have time anymore. Andrew: So, you make sure that any time you have a message like that to make it’s thirty-five words or less. Andrew: OK. Do you write it down before hand; before you make the phone call? Andrew: You do. You write it down? Andrew: OK. And when you write it down, is there a way that you break down that message because it…You know what? Do you mind, David, as a favor to me, repeating that message again so that we have it clearly? I don’t know what happened to the connection as you delivered it because it’s important to me to give that good example as an example of what the rest of us could do. David: I’ll give you the formula, and then I’ll speak it. Andrew: Oh, I love that. Yes. David: My formula is my name is, I am David Bullock calling from XYZ Company. We have a benefit. Well, actually it’s a feature that does this feature for you. Is that something that you want? David: Now, what you need is what you want. My name is David Bullock. I’m calling from XYZ Company. I have a piece of software that works with your database to reduce your cost and decrease [??] proliferation and it does that in a way that is measurable. Is that something that you want? David: Yes or no. If he says no, thank you very much, move on. If he says yes, because he heard it and his particular activating system says I need that, that’s something I’m looking for. I want something to reduce my cost and increase my profitability, and I know I have this thing called part proliferation. What I typically do is, I’m from manufacturing. I come from a manufacturing background. I know the problems in that particular area, that’s one of the things I find. People think they can go into areas that they don’t know anything about and be successful. If you look at the richest man in Babylon which is a book by George Gleason from way back, don’t invest in areas that you don’t have any knowledge of. If you’re not going to invest in a place you don’t have any knowledge of, how can you sell into and be valuable in a place you have no knowledge of. It doesn’t work. Andrew: I see. OK. All right. Now, I can see how this would work for any business in my audience or. For example, the founder of Spring Metrics may call up and say, “Hi, my name is Doug. I’m the founder of Spring Metrics. I can help you figure out where your best customers are coming from so that you can double your conversion rates without any software knowledge. Are you interested in that?” Boom! I just made this up on the spot. I’m sure that Doug could do a much better job. David: Don’t use interested. Interested is a bad word. Andrew: Oh, what’s the word? David: Is that something that you want? Andrew: Oh, is that something that you want. Why is interested… I thought interested because it was less of a commitment. Want made the other person feel like he had to sign up for this right now. Do you want this? Why? I’m explaining my psychology, but what’s wrong? Tell me the right psychology. What’s the right approach? Why does it wok, I mean? David: In sales, people buy what they want. So, you ask them, is that something that you want? If they actually want it, they know why they want it. You don’t have to give them any reasons for it. David: You move them forward. And again, this is ales from e-101. There’s a book out there called “High Probability Selling” written by a guy named Jacques Werth. Jacques was my mentor in sales. Jacques went and tracked 350 different sales people for so many years, and he honed in on exactly what they say and how they moved their sales methodology. And from that, these are the words because what you say is not a script, but if you do it this way, you enter into a sales conversation that is honest, without commitment, and you can move them forward. Andrew: OK. I wanted to understand what you are saying to them. The other thing I want to understand is why would you cold call them any way. Why cold call in a world with social media and e-mail and blogs and everything else? David: Because everyone else is using social media and blogs and trying to capture e-mail addresses and putting white papers out there where a human actually picks up the phone and communicates with another human. Now, I find that that’s a competitive advantage. Andrew: I see. So, you’re standing out, kind of like Tim Ferriss told me he used to go to events because that was the channel that was least crowded. Everyone else’s Inboxes were really crowded. Everyone else’s Twitter DM boxes were crowded, he said. In person least crowded channel, you’re saying. Phones, people aren’t using them. You get attention that way plus I imagine the CEOs of the kinds of companies you’re talking about, especially wouldn’t be easy to find online in mass with white papers necessarily. David: They’re not tweeting. They’re not Facebooking. If they have a LinkedIn account, they’re not manning it. So, when they get a phone call… Here’s the thing. Sales used to be the profession of bringing information to people about what was available. The tables have turned. People can go online and find just about anything, but I found the CEO, if he’s running his company does not have the time what he needs. He’s hoping his generals and his lieutenants find that information for him. If you show up with credibility and here’s one of the sticking points, after they speak to me, they’re going to Google me. After they Google me, when they see my LinkedIn, when they see my Facebook, when they see my website, when they see the blog, when they see all those trackings of credibility, then we have a conversation. Oh my gosh, you worked for the DuPont Corporation and [??] Robotics and GM. Oh my goodness, you actually are competent to speak to me about this particular widget, and those are the trappings that most people who come into business don’t take the time to build the credibility to be able to sell their product effectively in the first place. Andrew: OK. You’re right. Everyone is going to Google you as soon as they meet you, if they’re interested in following up. And if you’ve made them an offer that they’re excited about, they’re going to Google you to make sure that you’re credible. What are the things you do to make sure that when they Google you they find what they want and know? You said you created a LinkedIn profile, which we all do at this point. You create what else? David: One of the things I’ve done is I’ve created a blog that has over 200 entries in it. And typically, they’re talks that I’ve done that have been transcribed. And what I’ve done is this sneaky trick. The sneaky trick is to take the dates off your blog, because if it’s evergreen, no one can ever say that you’re not blogging enough, ‘cuz that’s something that people talk about. You’re not blogging enough. Well, what I find is that when the CEO of a company looks at my blog and he sees ‘evergreen’, good business information, he understands tested. OK, this guy is testing, tracking analytics. He’s worked with these companies. He’s worked with this company recently, and it just makes sense that this guy speaks my language. The blog speaks for me. They do all their research there, and then I get the phone call, and they say, ‘Wow. We know everything about you.’ And so, that’s how you build it. Andrew: What about, you said that when people search you they’re going to find out that you worked with American Express. Actually, I see that here on my notes. But you said, DuPont, earlier, as an example. What if we hadn’t worked with American Express? We hadn’t done business with DuPont. How do we add credibility without those credibility boosters? David: There’s something that’s very interesting now, with the way that the online market is moving. You can actually curate a content, and based on the fact that you’re commenting on other good content, it boosts your credibility. It’s the weirdest, I mean, I . . .
David: For instance, if I start quoting the guys from Forester Research, and saying, look at this. Do you see how this line is declining? That means such and such, and so and such. I used that when I was working with this client here. You are now piggy-backing off the credibility of Forester Research, by just citing the fact that you are astute enough to pay attention to it. Andrew: I see. OK. You’ve actually done that a few times here in this interview by citing authors and I think in the pre-interview did that with research. It does add a lot of credibility. Andrew: OK. So, we talked about old fashioned cold calling, but I also want to talk about new technologies today for connecting with people and making sales. Social media. How do you use social media to make sales? David: Social media is wonderful, especially now with the Google. Google Plus is just recently in the marketplace. I love it. Social media allows you to do a couple things. The only thing that people can bump into is your content. They bump into your content, and then you want them to take an action based on what they saw in your content, which then turns into a lead, which goes onto a list which turns into a sale or transaction. That’s it. That’s the only thing that ever can happen, and that’s the only thing that will ever happen. Social media allows you to take video, audio, and text, and just put it out there so that people can bump into it. Whether it’s a video on an ITunes channel, whether it’s a video on YouTube, that’s been optimized correctly for SEO, whether it be a paper click campaign pushing into a Facebook light page, all of those situations allow for your content to be seen by those people who are searching for a problem, or they’re looking for you, which means they can go into [??] and move forward. So, Facebook, wonderful. Twitter is great. [Vidler, Medicafe], YouTube. Now YouTube I really love, because you can express, you can put more emotion into a video than anything else. And YouTube is actually a social media channel that can be optimized for SEO. It can be pushed against with Paper Click traffic, and can definitely be passed along . . .
Andrew: How? I’m going to get to aligning pages in a moment, because now we’re talking about more personal interactions with landing pages, and Taguchi method. And I want to talk about broader reach, and getting lots of people. I understand how to put a video up on YouTube. But, why are you buying ads to get more traffic to that video? David: Well, if you have, for lack of better term, an epic video, which has good content. 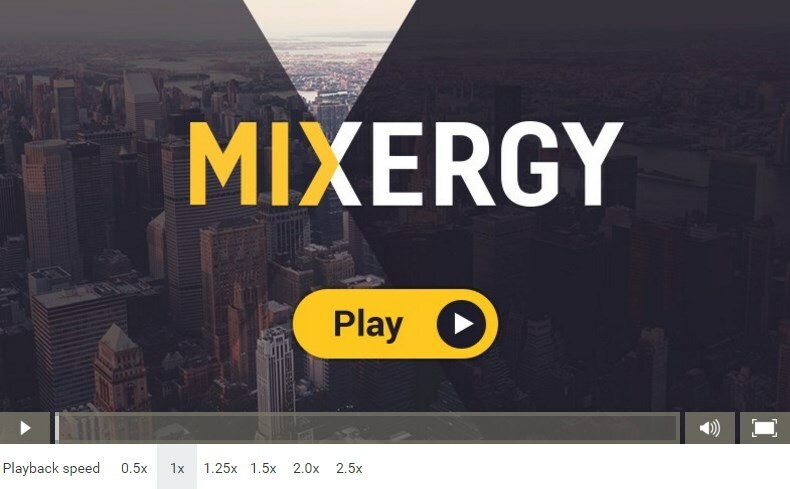 Andrew: I create epic videos every day, here, on Mixergy. David: Yeah, every day. You’re doing one now. It’s good content, evergreen. And watch this now. You can take this content; you can do what, like I’ve seen you do? You can whip it, it becomes a transcript. You can take a snippet of that, and that becomes picked up by the search engines. You could take the audio, put a PowerPoint on top of it, and now it becomes a video. Now, you take that and put that on YouTube, and you drive traffic against that; if it resonates with the marketplace, leads ensue. Andrew: How do you get leads from a YouTube video? What do you do to make sure that it’s not just another hit on the counter, but actually ends up being a lead, which hopefully becomes a sale? David: This is really a sneaky trick. You put a call to action in the actual video, to do something. At the end of this video, if you’d like to know more, there is more of this. The transcript is available over here. You could take a small five-minute chunk of this, a nugget of this interview that you found rather good, put a front end on it and a back end on it. Have it sandwiched, you know, have that piece sandwiched in-between and if you want the full video, go over here on YouTube and get it. No, go over here, back to my site and get it. YouTube being owned by Google, its search engine is optimizable for the key word for the presentation. Getting better at sales for a young company. You could go as long tailed as you want, you will get the traffic, tell people where to go get more, and that brings traffic to your site. Now if you take that same video and put it on eight other video channels, optimized correctly, now you have eight different ways to come to the same place. Andrew: I see. You know what, the need for a call to action; I’ve got to . . . When you said that I was a little worried. I sat here saying, call to action. Everyone knows about call to action. Are we just giving them more information that they don’t know? And you’re right. Then I realized, wait a minute. Do I have a call to action at the end of my interviews? No. I spent an hour of my time, and you and I know we spent a lot of time doing pre-interview. You know that we have research here on my screen because we did research on you. We were kidding about some of the research notes before we started. I do all of that. I kill myself, but I don’t have a call to action. And I’ve got to have a call to action everywhere. It’s so basic, and the more I hear it, the more I think it’s too basic, and the less I act on it. I’ve got to stop thinking that it’s basic and start thinking, are you doing it or not? And if you’re doing it, then can you do it more? But if you’re not, stop saying it’s too basic. Find a way to do it. And at the end of this interview, I’ve got a note here for myself, I’m going to do a call to action. And I’m going to start doing more of those, because you’re right. If somebody spends a whole hour with us, there should be a call to action. OK. Tell me about something. This little rant that I did. You’re a listener. You’re someone who appreciates good business information. You hear a guy like me go on a rant about how he’s missing out on taking a certain kind of action. Do you think, hey, nobody cares about you? No one wants to hear your setbacks. Teach us what works well, and deal with your own issues later, quietly. No. What do you think? David: What you just spoke is the bane of existence from most marketers, especially most content creators. You create good content. You take the time, you know who your market is. You ask great questions. But you fall a little bit shy on closing the deal, for lack of a better term–getting the close. Hey, I really want you to not just consume my information. I want you to love it. I want you to come back over and over again. In fact, I want you to pay me for it, so that I make revenue for this thing I love to do. If you don’t ask them to do it, to ask, and basically you ask, you seek, and then you knock. That’s actually what it is. It’s an escalation of effort. You’re going to ask for the sale. You’re going to seek for them to say, yeah, that’s pretty interesting. But at some point, someone’s going to have to actually take action. And if you don’t promote that idea of taking action, getting the referral, these are all basic things, ask for the referral, ask for the sale and if people don’t do them, then ask, why am I not making any money? Well, you’re not in the business, although you created this wonderful product and service. Sales people don’t even ask for the business. Coming into a great presentation, and then, how many would you like to order; when do you want us to get started? What’s the timeline? What’s your budget? When, how, how are we going to move? Those are questions that are very basic, but people forget to ask them. And then they ask why their businesses are not profitable. Andrew: As you said, ask for the business. I got a little bit nervous. I thought, no, no, we should ask them to give their email address so one day in the future we could get business from them. That’s what my call to action at the end of this interview should be. And I thought, whoa, where did that come from? And that’s what goes back to why you and I wanted to right off the bat say, ask and deal with the question of why the sales matter. Because there is this shyness about sales, right? Even in me, a person who loves sales, wants revenue, who intentionally wanted to do this interview, I’ve got this discomfort. Where do you think this discomfort comes from? David: Well, because sales is a bad word. We think of sales people as the pushy salesman, the guy who’s trying to sell you something that you don’t want. True sales is a service. A true sales person is going to do right by you. He’s going to get you what you need and what you want, as you need it and as you want it. And if he doesn’t do his job, personally, I feel bad if I’ve sold you something and it’s not going to work for you. I don’t want returns. I don’t want you upsetting me. I don’t want bad reviews on my website. I want you to get whatever it is. I want you to be successful at it and keep moving forward. That’s a true salesperson, which you’ll find that the higher levels of sales, we are dealing in multi-million dollar transactions, there is no way that you can coerce, cajole, or over educate at that level. You can’t twist anyone’s arm to write you a million dollar PO, because in business they need that software, that equipment, that training, such that they can be competitive moving forward. If you really have a real product that delivers on the promise that you have, sale’s a joy. The best accounts that I’ve ever had, we’re still friends today. We’re still calling them. I’ve left the industry, and I can still call him up, and we still can have a cup of coffee because I helped their businesses move forward. They saw it as an investment that paid off in significant ROI over and over again. Andrew: That’s so true. My whole business has been built on no outside funding, all over sales. I love sales. I read sales books, and still even I have to acknowledge I had that issue in the end. I think it’s important to acknowledge it and to beat it back with the opposite, with the positive messages about why sales is important. It’s an important aspect of business. Why it can be fun? What it leads to relationships and not leads to all those things that cause insecurity, and that’s when we think of the word, sales. Andrew: I mentioned earlier that we’re going to talking about landing pages and that funny word, the Taguchi method. You know what? By the way, the Taguchi method must be such a part of who you are that my researcher, when she put in information about your background, gave me a whole section on the Taguchi method to prep me, to make sure that I knew how to have a conversation with you about it. Why don’t we explain what you’ve done with the landing pages before we explain how to do them right? Give me a little bit of background. What do you do that’s great with landing pages? David: Well, the Taguchi method, there’s something called Tres Taguchi. I’m a certified Tres Taguchi specialist, web optimization specialist. Andrew: What is the Taguchi method? David: The Taguchi method is actually an algorithm which allows you to test a few to get the results of many. I can test maybe 12 different items in a particular matrix, and it simulates testing thousands upon thousands of different combinations for a landing page. Now, it’s based on a matrix, and then you send it through some very sophisticated math, and it basically says, on this page this is important, and these things aren’t. Of these things that are important, concentrate on those and these things that aren’t important, just make sure that they’re in place in some place because it holds up the table called a landing page. You want to have everything there. Andrew: For example, a landing page selling this interview. Andrew: What would some of the aspects of this landing page be? And then, how would you know what’s important and what’s not important? David: OK, you want a landing page. The first thing on a landing page is the color of the landing page, the palette. What does it look like? Is it warm and inviting? Are you using blues for authority? Are you using reds for emergency? It depends on how you move it there. Color has a lot to do with that. Then, you have the actual offer, the headline. What do you see? Why would this be important to XYZ business owner, business owner who just got $5 million? Are you concerned that you will not be able to make that revenue before buy-out to pay back your investors? Does this keep you up at night? Are you in the corner with your thumb in your mouth screaming because dah, dah, dah? That speaks exactly to the concern of a business owner who just got a large infusion of cash and really doesn’t know what to do next, but he knows he’s rich for a minute. You test a headline. You test a color. You test the offer. You test the video. You test the offer within the video. You test the close, the call to action. You test the color of the button. You test the message within the button. All these things add up to the environment called a landing page. Andrew: OK. How do you know then what’s important and what’s not important in the test? David: Well, the Taguchi method, the actual algorithm, will tell you that these things are important and these aren’t. Andrew: I see. It runs through the whole test, and then it says, this is important. The headline is important. The color is important. completely. I see. Great. David: Right. Taguchi is a little bit different. Well, gosh, we could go into this really deep. There’s optimization Taguchi which basically give you an optimal process. It always lands in any environment. That’s one. There’s one that optimizes for the smallest common denominator, and one optimizes for the largest result in the environment. The one we use is typically the one that gave you a robust system because traffic is noisy. It’s inherently unstable for some reason. People go crazy for lack of a better term, and to know what’s important means that these are the things that you’re going to concentrate on. The thing is if you’re doing just split testing, most of the things you are going to test are important, and you don’t even know it. Taguchi basically tells you these things are important. Concentrate on those so you know where to spend your time, energy and money. Andrew: OK. I actually had an entrepreneur come on, Will Schroeder, say that in the early days that his understanding of this method enabled him to create landing pages that converted at a time that people didn’t even know about AB testing or landing page optimization at all. Today, you’re using this how? What are you testing, and what are you learning? David: Right now, we’re working; we’re using Taguchi method with clients. Some of my student clients have taken $200 and started a business and now they have businesses that work for one hour a day of their time, five staff, grossing $80,000 a month. Andrew: OK. $80,000 a month? David: $80,000 a month with maybe an $8,000 spend. Now here’s what they did. One of the courses that I taught, gosh, dating back in ’05, ’06, was Ad Optimization: How to Think with the Taguchi Method. It wasn’t how to do it; how to do it wasn’t even in existence yet. The tools were not available yet to do what we’re doing now, but you can test the offer, the sequence of the offer, everything on the landing page to the point where you can actually get water to flow uphill. Meaning, while everyone else in the marketplace is spending $8.00 per lead, you’re making 25 cents per lead, which means now you just keep putting quarters in and you keep getting more and more out of it. So while your competition is floundering because they’re spending money, you’re making money with a self-liquidating lead system on the front-end. All that can be accomplished by testing. Andrew: How do you do that? How do you make money when you’re collecting leads? A self-liquidating lead is what it’s called. David: Right; it’s a self-liquidating lead or a funded proposal, more than anything else. David: What we typically do is, one of the companies that we worked for recently had an environmental product. Great environmental product, lovely, but what we did is we took a video of people using it. How it could be used better; how it would affect them if they didn’t use it, and we packaged just the information up. We sold that, and then that ensued the actual physical product sales. Andrew: I see; because you’re selling – instead of offering something for free as a bait to get the lead, you’re saying you’re selling it to get the lead which then you’re using to upsell them on a bigger product. David: It is such a better-qualified lead when they’ve spent money with you for information. David: So now, so maybe I don’t have a list of 10,000 people; maybe I have a list of 1,000 buyers. Now I can move, it’s much easier to move a buyer to another buy than to be moved into taking inquiry to a buy. David: That’s a hard sell. Andrew: That’s a hard sell. David: I’ve found that that’s a hard sell because if you give someone something for free they’re under the mindset that free is free. I don’t want to spend any money with you. So if you’re in a sales conversation, be in a sales conversation. Know that you’re in it and then move it forward. This idea of; it’s interesting because there’s a lot of schools of thought here. You start with free, with the idea you’re going to keep on giving them free stuff, free stuff, free stuff – and then one day they realize the value because you’re making offers, and then they’re going to transact with you at some point. And that’s nice, OK? But you have to start that transaction conversation early so they know they’re in a transaction conversation. If you go free and keep it free for so long they’re never going to buy from you. They just won’t. David: That’s why you have what they call ‘list ride,’ where you have people who have ten – the 80/20 rule ensues. Where you have; some guys have 200, 400,000 people on their list but their list is not active because they’ve kept it free for so long. Now you have other guys that beat their list up every day making offer after offer after offer – and those offers aren’t valuable. So there’s a fine line between, make a valuable offer which is congruent with your marketplace, start the transactional conversation early and move them forward in a transaction conversation. If you’re doing any industrial sales. Look, the guy’s going to spend $100,000 with you. He’s not concerned about getting an evaluation that’s going to save him $10,000 – he’s not. He may even spend $500 for that thing, because he needs it. Why? Because he has to make more money. Consumer market’s a little bit different animal. They want everything for free and you have to deliver value before you can move forward. But that value you deliver still can be of low cost, but high-value to them. And designing and crafting that offer so that money flows uphill is the real skill. Andrew: I see. So the idea that you’re going to offer two years of free stuff, and really get people to love you and feel a sense of debt to you and then one day, on year two you say, ‘Ta-da! We’ve got this great thing to sell you!’ that’s a mistake. You’re not building up credibility that converts into sales; you’re saying no, what you’re doing is training the audience to expect free, and creating rot, list rot. David: Well, yes. I was very fortunate back in ’07. Now, remember this. In 2007 I went to a blogger’s conference, and the bloggers were talking about how they created this wonderful content, and it’s great, and they do it for the love of life, and they give it away for free. And they didn’t understand why they weren’t making any money. Now, I’m sitting in the back of the room, and I had this moment where it’s like, wait a minute. Business owners would love to know how to create community, and the bloggers would love to know how to create commission. If I combine social media and the blogging and content creation in a way upfront so that it add so much value that people feel bad about not paying for it, we have something. From that came the Barack 2.0 project because I noticed that wait a minute, there’s this thing called social media and they don’t really know blueprint, but the biggest social media push is the Obama campaign that’s going on right now when he was running for president. I’m like, if I blueprint that which is an idea to transaction model with nothing but pure influence, no product was ever sold at the end of that whole product launch sequence, then I really have something here. Using that model is what’s allowed me to be able to figure out this self-liquidating lead model and that type of thing because that was a wonderful thing to watch and blueprint. Andrew: You’re saying that by watching what the Obama campaign did, you learned a lot of the tactics that you used for business. David: Well, I had a lot of the tactics anyway. David: The Obama campaign was me observing and watching someone else do it, and I said, oh my gosh, that is so neat. Let me apply that to business. The model that we used we observed it in someone else first, and this is typical for business. Observe it in someone else first. See what they’re doing. You document that. Then, take it and use it for yourself. We got about 500,000 of [??] in one year, plenty of different speaking engagements, no cost, zero cost. Sold plenty of books. Then, turn it into the same blueprint and then became a CEO of a company and applied it to other companies. And then, check someone else out, watch what they’re doing, use it for yourself, make it creditable for yourself. Know that it really works and then use it somewhere else and really make it work. Now, you have a three level case study. Andrew: The book that you’re talking about is “Barack 2.0”. You co-authored it with Brent Leary, and you observe the Web traffic for then candidate Barack Obama. It was twice that of his nearest rival, and you decided you wanted to study it and write the book. I intentionally left that out of my intro, David, because I love finding out how politicians use business ideas and social media, and I love finding out how people in other industries do. Every time I try to bring their ideas into my interviews, please go frickin’ nuts, especially with politics, negative nuts. If I would have introduced you as a guy who happened to have written a book about Barack Obama in any way, we would have lost half the audience. I said no, let’s wait and introduce it later. To me, that is shocking. I would imagine, and maybe someone in my audience can explain to me the mind set that disagrees with this, but I would imagine we go hunting for ideas everywhere, literally. If a hunter with a gun kills little animals has some tactic that I can learn from, I want to shut up and learn from him. I could condemn him on my private time, but while I’m in business I want to learn what I can learn from his tactic, or what I can learn from people like him in the world to help me sell to people out there in the world. That’s maybe a topic for another day. I want to dig in with the question that I had to fire ready for you. You said the thing to know is how to take that knowledge and make it into a product that people would want to buy. You said that was the challenge. I forget exactly how you get it. Do you remember what you said earlier? Andre: It’s taking what? Sorry. We lost the connection there for a moment. David: Whatever it is you’re really trying to sell, a widget, the product and the service are in the back. What is the before doing after that sale? What does that consumer want, whether it be the business or someone else? What did they need before, during or after that you can sell them to qualify them as a lead for the actual product you are trying to sell in the back? Andrew: Ah, can you make that more concrete by giving me an example? Andrew: I’m not sure what you mean. David: I’m working with a site right now that sells leads to attorneys, and we were talking back and forth. I asked him a question. Where are your customers manufactured? He said, well, I don’t know. Now, he’s in the personal injury workmen’s compensation part of the business. I said, well, your people are manufactured on the job site. OK. Good. Where is the job site? In the union hall. Great. Let’s develop this little booklet that tells the actual worker where they can go if something happens from a personal injury or workmen’s compensation situation. I printed this nice little booklet that they actually were disseminating , which got them into a situation where they paid a couple of dollars for a diagnostic to assess their risk which then turned into leads for the lawyer on the back side. To me, that’s just normal. That just makes good sense, but looking at the client and putting a box around him and saying, where is this person that you’d like to sell to? Where are they manufactured? When you go find out where they’re being manufactured you’ll find out what they will buy, what they need, and what they will deem valuable to qualify them for the next service. Andrew: And sell that to them, you’re saying? David: Sell it to them. Don’t give it to them for free necessarily. People will get stuff for free all day. How many times have you been in a Sam’s Club or a Kroger and they have those nice little free samples? You take the free sample, you eat it, you keep walking. Where if it was a sample for $.15 or $.10 at least there’s been a transaction that occurred and a likelihood that I really like that, hmm, let me go buy another one. It’s human nature. We’ve gone too far on the free side. Andrew: Where are they manufactured and what do they need before they need me? Again going back to the Spring Metrics, just because he happens to be a premium member who I talk to a little bit. He has this software that helps website owners know where their customers are coming from. You can watch what your customers do before they buy from you. By watching them you know which pages help increase sales and which pages don’t work so well and so on. He would ask himself where are my customers manufactured, and it might be manufactured as soon as somebody puts an Ejunky shopping cart on their websites. Then he thinks I sell those guys a quick diagnostic. Or I sell those guys information about their first five sales or something. You’re saying sell it to them. Shouldn’t he offer them something for free first? Maybe a research report first or free diagnostics then sell it? David: It depends on the volume. It depends on how many people you want to talk to to actually make the sale. If you have all the time in the world and you want to go through a thousand leads and hopefully sell one then you can spend the money on paper click and you can give stuff to people for free. They’ll collect your information, say thank you so much, and they’ll keep moving. If you create a transaction situation where people are getting value but they’re willing to pay for it that’s less people for you to talk to to actually make the transaction you’re trying to make. Your efficiencies go up and your lead source becomes a profit center. Andrew: You know, I’m a little nervous about doing that too and I have to analyze why. I think the feeling I have is better to get them in the system quickly and in bulk, then later on figure out where you’re going to make money from them by taking a few attempts. David: That’s Google’s model. They’re much bigger than the typical business. They have the expenditure of multiple income streams that allow them to make moves that way. They’ll give away Google Plus and Gmail for free but they’re also making money with their Paperclip stream of income. Now, the typical business case, in your case. You have these interviews and I’ve listened to some of them and they’re great. If you took the best of these interviews and burned them onto a CD or DVD or something and put that out into the marketplace to people who don’t know you. And they said my goodness, this is some good stuff. If you go to the bookstore right now you would find anthologies of someone like you interviewing people, putting them into a book, and it sits in the bookstore for pay. You will not leave that bookstore without paying for it and going somewhere else. Case in point. That’s the kind of self-liquidating lead that you could put together. The Barack to Zero book was transcripts of conversations that Brett and I had that we basically put into a book form. That’s it. But it’s a book that now has leads coming in from business who want to speak to me about what is your social media strategy. Because I have a blue print that they pay for. The only things that you can get for free, you can go to the blog and that’s free. But if you want the book, which is basically a different form of the blog that used to be there, that’s paid for. Notice what I just told you, I’ve actually done. Andrew: I see. I can see that too because there was a lot of heat around Barack Obama. There were a lot of people saying he used social media well. Here you are, a guy who now wrote a book about him. You must understand social media. You’re tapping into this thing that half the country’s excited about the other half of the country maybe respects or hates. At least there’s a huge conversation around him. You’ve got the book. Businesses want some of it. They come to you and they say bring to us what you saw him do well. OK. I promised people a few things here that I have written down. I said we’d talk about analytics. What do we need to know about analytics when it comes to making sales? David: OK. Analytics is really one thing. Analytics is tracking. You want to see what’s there, see how people are moving through your site using tools like Crazy Eight, which allows you to heat map your site. Any link that there is on the site, any button that makes a promise. Now, if that button is making a promise but no one cares about it your Crazy Eight, your visual heat mapping, tells you that. Analytics is nothing but counting. No one moves online without leaving a footprint. The only way that you can travel online right now is by clicking a link. Now, most sites, for some reason, have analytics but they don’t look at them, they don’t interpret them in any meaningful way. Andrew: Because it’s overwhelming. Because you get all this data. I’ve got Crazy Egg on my website. It’s kind of interesting but it is also overwhelming and I’ve got Google Analytics. Interesting, but can be overwhelming. What do we need to do to keep from being overwhelmed, and to actually make this stuff actionable and see sales as a result of it? David: The question is online, the only way you can work it online is you want people to leave the page. And people don’t say that. But really, you want people to hit your page, and leave it to go to [??]. With Crazy Egg especially, if people aren’t hitting that link, and leaving the page the way you want them to leave the page, or you have leaks on the page, like ways they can leave your page but you really didn’t want them to leave that way, you’ll quickly know how people are leaving the page. Take those trap doors out. Away. Because then you can force them to go the way that you want. I love visual analytics. Having a long column of numbers and what not doesn’t work for me. If you show me a picture of people leaving the page that link right there, but they’re also leaving over here. Well which one leads to the sale quicker? This way? Or that way? Well, take that trap door out and guess what? They only have one way to leave now, or two ways to leave. We’re pushing them the right way. Your goal is to know what are you trying to do here, and how you are trying to move people online because on your website you can only move people in one direction; either through your page or they leave. That’s it. Your analytics isn’t about interpretation. Too many times we look at numbers, and we don’t know what those numbers mean. Sometimes a picture is better than a thousand graphs. You know, you get an excel spreadsheet and, eh? You get a picture and say “People are leaving here. Is that where I want them to go?” It’s yes or no. There is no maybe. And so, analytics to me is tracking, it’s paying attention. Whereas testing is do you like this, or do you like that. You can make it more complicated if you want to and then you can have a whole business on that if you so desire by making it complicated. But, at the end of the day, how are you preparing the environment on the page so that people can do what you actually want them to do? Andrew: I see, alright. So be clear about where I want people to go. That is an interesting mindset. You want people to leave the page, and it’s true. And if I see that they are, for example, clicking the policies link on my homepage, or the events link on the homepage. I don’t want them doing that. I get rid of it and put something in its place, or I just get rid of it completely. What about Google analytics? Do you have a little more time? I know we went over. David: Absolutely. I have as much time as you want. Andrew: Alright, I appreciate it. I’m looking at the time here and I’m paranoid that we are not going to have enough time to finish. What about Google Analytics? What do you do with Google Analytics that the rest of us may not be aware of? David: Well, first of all, I use it. I mean that is the first thing, I actually use it. Number two, the funnels within Google Analytics are phenomenal. Because if you set up funnels, you can say “Are people moving though what I call the ‘Golden Path’ of my website?” It’s the “Golden Path.” I want them to go here, and then I’d like them to here, here, here, here, here, here, here and here. Well if you look at your funnels, its like well they really didn’t leave this piece and they didn’t go down, they went this way. Maybe that is your path. Now, you can either plug that hole or figure out a way to get them back on the path, they way you want them to go. I love the funnel application within Google Analytics because it really tells me how people are moving through my site. The other piece on Google Analytics that I love, is I like seeing traffic sources, because when you can see where traffic is coming from, especially if there is a lot of it and its converting to sales, then you can go to Quancast and say, what is the demographic of that site that was sending me all that traffic, that actually made me sales and you find more sites like that to put your link on. So there is a plethora of information within Google Analytics, if you know what you are looking at, while you are looking at it. Now, I’m an SEO sometimes, and I’m a paperclip guy sometimes. And I was doing analytics when it was Urchin and then it was [??] and that type of thing, everything you need is right there within Google Analytics for you to see. Andrew: Again, I am battling the internet connection here. But, I think we got that. Yeah, we did. Let’s take a look at the next point here on my list. Man, David, I’ve got to tell you, I am so glad that the internet connection for the most part has held up but the 2% or the 1% of the time that it hasn’t held up, it drives me nuts. Networking. What do we need to know about networking? David: There is a book that I read called “The Referral of a Lifetime” by Tim Templeton. Andrew: OK, never heard of it. David: It is a great book and one of my students called me up and told me, “Get this book.” And I got it the next day and I read it. It talks about how within your network you can basically get to anyone you need to get to. Now, with social media that is very, very true. But, people don’t use it that way. They use it to just display content, they don’t use it to connect and then move someone to a telephone call or a more intimate relationship with them. On Twitter one of the things I used to do when I was working on Twitter a lot was, “Hi. Let’s connect. Here’s my phone number. I want the phone ring” and we’d be in a conversation. See, the real conversation occurs off line, real conversations don’t occur online. Those are just snippets of thought that just go back and forth because writing is the most unnatural thing that people do, and that’s how we interface online. Andrew: You know what? I’m surprised that you are so willing to get on a phone call. I don’t know if my phone has rung besides my wife calling. I don’t think it rings at all, and now I’m getting junk calls on this which is a problem, but besides the junk callers and my wife… Do you jump on the phone often? David: Because I find that if you can really… Case in point, I had a situation recently. This is a Google Plus success story. I’m on Google Plus, and I connected with a gentleman, who connected with another gentleman, and all of a sudden I’m a writer of a magazine that has like five to eight million business owners every month, but it took a phone call to close the deal. It didn’t occur within the nice long sales page. It didn’t occur within the video. It took a phone call, a conference call. In corporate America we have meetings. We have meetings. We get together and sit at a table, and we talk about stuff. The next best thing to that is being on a phone call. For the entrepreneur within the digital age who’s afraid to call, that means that you’re missing… That’s one of the channels you can use to actually connect with real people who if you have something of value you can make an offer, and they just might accept it. If they do accept it, that might become a sales or an influence situation or another relationship that you’ll be able to leverage later. The old idea of actually having conversational prowess, not being able to tweet or type or write a perfectly crafted e-mail. If you look at the people who speak, the great orators of the world, the people who mesmerize you because they’re able to articulate well. How many times do you walk up to some man and say, that guy speaks well versus man, that was really well written. I have never said that was really well written. That’s not because my daughters as I watched them growing up, they learned to speak first, and then they learn to read and write. If we learn to speak first and we learn how to articulate our ideas well, we will always be able to make the offer and nothing again moves, no train, plane or automobile, no transaction occurs without the conversation first. And even if you’re taking a conversation and putting it in a written format, it’s still nothing more than… That is a substitute for your voice, giving the actual offer or presentation. Andrew: As you were saying it, I realized wait a minute, I’m exaggerating here. Of course, I do make phone calls. I’m not as aware of them, and I receive more phone calls, of course, from customers, from people who I’m going to be interviewing, from people who are going to be doing courses here. You’re right, you’re right. We do make phone calls. I wonder if I’m using them well enough, and I wonder if I’m using them for sales, or if I’m just using them for intake of information. Now, I’m thinking about it a little differently. David: Let’s back up and look at something here. Notice how the telephone was used. The telephone was used for people to connect with loved ones. Hey, is such and such all right? Notice how social media is used. Social media went through the same evolutionary cycle. It was used first for science and business. Then, it was released to the public, and then he started using it for social. It was a party. Telephone was the same thing. It was used for military because they had to get a message from here to there. Then, it was used for business. And then, they said, you know, if we get this to the masses, what are they going to do? Then, the masses started using the telephone. What was the first mobile phone first used for? Business, a big old box you’d have with an antenna in it. Business first, military, then business, consumers, and then it becomes social. Typically, by the time it gets to the social aspect, we forget that there was a business purpose for it. Again, I’m a little bit older than most of you listeners probably, so I remember a black phone that was corded, that actually had a dial on it. It didn’t have a camera on it or video on it, and it didn’t allow me to surf the Internet. You think I’d remember that phone. I can remember that the phone can be used for other things besides text and playing a game, and that is a competitive advantage when you are in the marketplace in sales. Andrew: Especially if you’ve got people like me who aren’t used to doing it and aren’t used to using it well. Final point here on my list, I promised the audience we’d talk about referrals. How about one tip for using referrals to get sales? David: Oh, well, first things are ask for referrals. Andrew: Ask for referrals, OK.
David: Ask, say, look you’ve enjoyed the product or service, and you’ve given me a great testimonial, who do you know that might be in the situation that you’re in that I will treat the same way that I’ve treated you? Give them the same level of service. In fact, I treat them just like your family because that’s how I treat you. We’ll keep the relationship moving that way. Just letting you know that’s something that’s available to them. People will say oh my gosh, this is great and they’ll start telling you well, you know, such and such can use such and such, such and such. Then they start connecting within their network. The thing about referrals is have a good service. Let’s back up, the ultimate referral network is social media. It will work for you and it can work against you. If you do a bad job, people know quickly and if you do a good job people can know that quickly too. But you have to help people to spread the good about you and ask for them to spread the good about you. Don’t just get the testimonial. Don’t just get that. Ask hey, this works for you. Who else do you know that-? And they’ll qualify people for you and become your sales people. Andrew: Hey, before we did this interview, I think it was a few weeks ago when we were scheduling the interview, we started talking by email and you asked me for an introduction to the founder of Conversion Voodoo. Because you heard him on Mixergy and you wanted to connect with him. How often do you do something like that? Where you see someone online and say I’m not just going to take the guy’s message in but I’m going to connect with him. David: Do you want me to give you a couple of examples? Andrew: Yeah, exactly. I know that I ask my audience to do it and of course people in audience do it. I thought maybe you did it because I asked. No, you’re saying you do it beyond. Give me some examples of how you do it. David: This is a referral kind of conversation. Back in 2002 I was reading Ink Magazine. I read about a gentleman who had taken this thing called the Taguchi method and he used it and raised conversion rates on a particular [??] to 700%. I got on the internet, found the company, called the gentleman. That’s how I learned about the Taguchi method and became his apprentice. How often do I reach out? Often. Because from that whole markets were opened up to me because I take the chance to say that’s an interesting guy. I’d like to know more about him. I think I could be valuable to him and I think he has information that’s valuable to me. The Conversion Voodoo gentleman that I asked you to introduce me to, I was listening to his interview and said hey, he’s doing testing and tracking on landing pages. I did that in another life. I’m away from that now doing other things. There’s some projects that I’m working on that he may be able to help me with. I know what he’s doing, I know how it needs to be done, I know what it needs to look like. Hey, if I have a [??] he’s doing full service, conversion optimization for businesses. Whoa, I remember the tagline. That’s the guy I want to know. You never know so connecting with people connects you to people. If you have that opportunity to hear someone who gives an interview and you think they can work with you or you think you have something to offer to them why not make the phone call? Andrew: Why not actually? Help me understand the mindset that’s different between the average person when they read an article in the New York Times, or Ink Magazine, or Forage, or Business Week, or even watch an interview like this, is not reaching out. Why? What do you think is going through their heads that’s keeping them from contacting the people that they’re reading about? David: It’s called celebrity awe. Media, for some reason, if you’re an author, a speaker, you show up on stage, there’s a certain verisimilitude which occurs because you’re there and they’re not. That’s the idea of a movie star. They’re untouchable. You’re in awe. Oh my goodness, they have special knowledge. That person puts their pants on just like you do in the morning. They’re human. The key is to reach out from a human to another human and say hi, I think you’re neat and wonderful. You’re probably a nice guy. I’d like to get to know you with no agenda. If I can be of any service to you in what I’m doing then great. But if not at least I got to know another nice person. When you can walk into the world with that type of mindset sales become easy and connecting with people becomes easy too. Because you’re not there, you’re not a huckster, you’re not trying to get something from someone. You’re showing up because it makes sense to you to connect with people. I think that would be the lovely part of social media. But now it’s gone commercial, people are trying to get something from people. The question is what are you giving? Because to be interesting you have to be interested. Typically that’s how I work. have a call to action? What should people do at the end of this interview, if they saw you, and they feel like, David’s really spot on? David: Well, if you want to contact me, that would be great. I’m at david@davidbullock.com. OK, that’s my mail address. connect with me personally first, all these umbrellas of websites and books and all that good stuff, you can get to from my website. But again, people do business with people. They don’t business with corporations. You do business with people first. So, again, if you get to me, and you like me, maybe there’s something I can do with you or for you. Or maybe there’s a joint venture in it. That’s what I enjoy. Andrew: I see. Instead of sending people to your sales page, you’re saying, go to my personal website davidbullock.com, connect with you, get to know you, and send you an email. David: The phone number’s right there at the top right hand of the site. Andrew: That goes to your phone? David: It actually rings here, yes. Andrew: You know what, I would have had that up on my screen, and I would have called during the interview, just to make it happen, just to illustrate that the phone actually goes directly to you. I’m always stunned when a number on the web goes to a person. David: It actually shocks people. I’ll get an email and then I’ll pick up the phone and call someone, and they are always shocked and amazed. But, if you noticed something, I’m going to give you a caveat here. My website is set up such that, if you really go through it, you’ll realize that you’re not going to call me unless we really have something to talk about. Otherwise, celebrity awe will take effect. That’s human nature. The CEO of a manufacturing firm may call. The congressmen may call. A lot of people call, but they know what they want when they’re calling. They have a purpose, not just to shoot the breeze, and they’re not asking for anything for free, necessarily. David: Because, I am in business. body spray. Kia motors. He shows you how he closes sales by not wanting to close the sales. By very often pushing people away, he says, he ends up identifying the people who need to come close to him. their computer screen. They show you what they do, and you get to follow along. I’m thinking of Justin Cutroni, who taught Google Analytics. He didn’t just say create a funnel, he said, guys, I’m going to log into my personal account. I’m going to show you how I create a funnel. Then I’m going to show you how it ties into this company that I do sales for, or that I help with sales. I’m going to show you how a hit goes to a sale and how Google Analytics tracks it all for me and helps me get more of them. So, if this is the kind of thing you’re interested in, and you’re already a premium member, go to mixergy.com/premium. If you’re not and want to take this relationship to the next level, mixergy.com/premium is the way to do it. How’s that David? Andrew: Not 35 words, but I’ve got to work on that. That was my first shot here. David: That’s a good offer, and I encourage you. I actually know Nicholas, they [??]. He’s here in Nashville. Andrew: You know what? I’m finding more and more people know him in the sales world. When I said, I’ve got Nicholas Holland coming in here to teach sales, people said, really? I guess he’s taught in a couple of other places, and he’s known for being a closer. Andrew: How do you know him? David: Well, he’s here. He’s in my network here in Nashville. Andrew: I see. So, because you’re in the same area, I see, you’re not just watching from the sidelines. You get to know him. Andrew: Well, I’m glad that I got to meet him, and I’m glad that I got to meet you too, David. David: Very good. Good to connect. Thank you so much. Andrew: Thank you. Thank you all for watching and for going to Mixergy.com/premium. Now, I’m sales crazy. This is the part that I’ve got to restrain myself. Bye everyone.